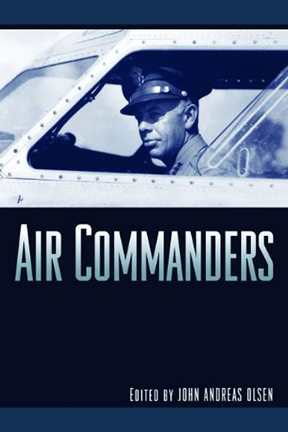 CSAF Gen. Mark Welsh has released his 2015 reading list, with “Air Commanders” topping the list. Air Force Chief of Staff Gen. Mark Welsh has unveiled his annual reading list — 12 titles mostly recommended by you. Topping this year’s book list is the 2012 “Air Commanders” by John Andreas Olsen. Part-military biography and part-operational analysis, the book tells the stories of 12 airmen who “shaped the central air campaigns in American history,” according to a synopsis. Coming in at No. 2 is “No Place to Hide,” the story of the 120 days former Air Force neurosurgeon Maj. Lee Warren spend inside a tent hospital in Iraq. “It’s easy to focus on tales of ‘leadership in the air;’ Dr. Warren’s story reminds us that, for Airmen, the Profession of Arms encompasses service across multiple domains…and all of them at times require profound dedication and sacrifice,” Welsh wrote. The remaining 10 titles on the CSAF’s list cover a range of topics, from cyber security and cyber warfare to how-tos on professionalism, leadership and making yourself indispensable in the workplace.